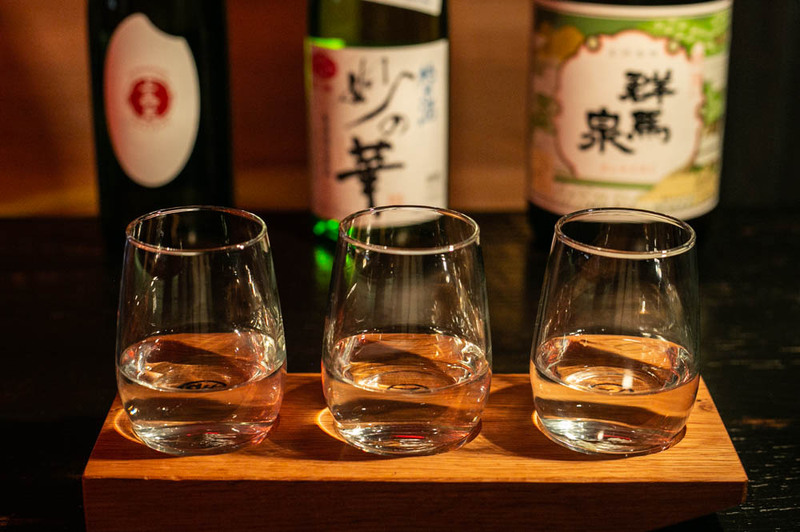 From dry table sakes to funky, unpasteurized brews, these sakes taste great in a flight or on their own. In ancient times, the Japanese rice wine known as sake was primarily made by women. The word toji, which refers to the head sake brewer, translates loosely to "matron" or "housewife," and it wasn’t until years later that men began dominating the industry, often passing down the job of toji from father to son in long-standing, family-run breweries. In some cases, women weren’t even allowed in the brewery. Recently, though, more women have been returning to the craft—in roles from brewermaster to brewery president—and are now behind some of the country’s best bottles. To celebrate Women’s History Month, Nunu has been highlighting what they’re calling “female-powered sake breweries.” For $25, patrons can pair dishes like yakitori and smoked eggplant katsu curry with a flight of three two-ounce pours, each with its own complex taste and cool story. Read on for Brophy’s picks, including the three showcased in the flight, and one more menu mainstay. Head brewer Hiroko Yokozawa is not only making award-winning sake, she’s also innovating the brewing process. Sake lees, or kasu, is a solid byproduct of the fermentation process, and is typically used to make other foods (it works for pickling or marinating, for example.) But instead of selling or tossing the kasu, Yokozawa is using it to make shōchū—a distilled spirit—and adding that back into her rice wine for a fortified version of Honjozo-style sake. “In a traditional industry, she’s doing something really progressive,” says Brophy. Blue Hue is a dry, easy-drinking table sake that can be served hot or cold. Hailing from the Niigata Prefecture, Kaetsu Shuzo is a husband-and-wife operation in which both partners come from a long line of sake brewers. Yoshiko Sato is the Director of International Business, tasked with selling the brewery’s products to foreign markets. One of these is Bride of the Fox, named for the region’s annual festival. Brophy calls this one “elegant and expressive,” with a smooth mouthfeel and notes of sweet peanut butter. Japan’s first female brewmaster, Rumiko Moriki is the fourth generation to own and run her family brewery. (She’s also the subject of a popular manga comic series illustrating her work.) The brewery uses organic rice they grow, and most of the processes are done by hand. According to Brophy, Moriki sakes are “distinctive and rule-breaking,” and this one—made with minimal intervention—is no exception. The unfiltered, undiluted, unpasteurized brew kicks off with savory umami and finishes with bright notes of citrus and apple. “It’s a weirdo sake that we all love,” says Brophy.